This morning we met little macho man Max, an 8-month-old miniature long haired dachshund. Mister Max missed no moment before making the rounds and meeting many new pups, and chasing both the ball and the pups that were after it. He did well for his first day and had a good time. The more he gets out and meets new pups, the more fun he's going to have. This clip features Miles and a bunch of his buddies from the little roll today. These little dudes sure do love their toys! We definitely look forward to seeing Max again soon. 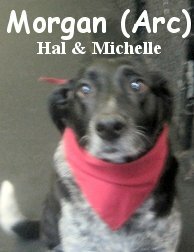 Miss Morgan is a mixed-breed (Lab/Pointer/Australian Shepherd) pup who came to visit the Fort this morning. This gal was sweet as can be, and did just fine with the other pups in the medium side. At nine years old, this definitely wasn't her first time at the rodeo, and we can tell that she knows her way around dogs. While she wasn't whipping around with the puppies, she enjoyed herself. 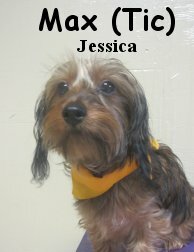 We'll be having her stay with us this weekend, and we'll see if we can't bring out the puppy in this pooch! The Labor Day crowd is set to be a really fun one, for pups and people alike. See you all (and Morgan) again in the morning! Haha! Those things get me every time. Twas another successful night, with good-dog company, at Fort Fido. Some of our guests slept, while others played. They all got some shuteye, eventually lol. Buster and Samson were best friends of the Twilight Medium Roll. They played very hard, yet fair, together. Their play continued off and on throughout the wee hours. Most young dogs are up for rebel-rousing in the moonlight. Buster and Samson were no exception, especially since it was their first night together. Sweet little Tikvah was sleepy. She seemed to wonder why the boys were being so rowdy. More play from the wild boys. I am lucky, the dogs have been behaving so well on these night-shifts. Everyone is as happy as a clam. P.S. Please do enjoy your Labor Day weekend. Also, there is still room to board your dog overnight with us this weekend. Call (253-460-0299) to make your reservations ASAP! Even Netflix has gone to The Dogs! My wife and I save a bit of money each month by not having cable. We do this however, by having Apple TV (Thanks to Gary for this recommendation) and Netflix lol. National Geographic's SCIENCE OF DOGS - This is a super-cool short documentary. The Cave of the Yellow Dog - Truly one of the most beautiful films I have ever seen. Good for the whole family. Dogs Decoded: Nova - Another first rate documentary. You may have already seen it on PBS. You can actually watch it on YouTube as well, I've embedded it below. Wallace & Gromit: A Matter of Loaf and Death - I don't care if these claymation funnies are for little kids. I just love Wallace and Gromit, they are so slap-stickin' fun. You can find some adult humor inside of the stories as well. Best in Show - A "several customer" favorite, this movie is pretty darn amusing. It pokes fun at the dog show scene, which deserves it lol! Wilfred - A very Dark Comedy... If you are OK with most vulgarity you should enjoy it lol. Harsh language and non-family-friendlyness aside, it is absolutely hilarious! Elijah Wood and Jason Gann make quite the comedic duo. We won't get me started on the Doggy Daycare episode though. Here are some great clips from Saturday! First up is the Big Roll, where Gordon was caught on camera with two very lovely ladies-- Pepper and Hazel. Both of these gals are strong and sassy enough to give the wily whippersnapper of a Husky a run for his money! Over in the medium side, we saw Sammy and Cooper tearing it up. These two made a really cute pair--I think that they have met and romped together in the past, and met back up today like old friends. I hope that this weekend went well for everybody, and we'll catch you back here soon! A collection of cool animal articles! I stumbled across this hilarious comedy post on Huffington Post, all about the crazy world of giant dogs. We've met a few really big ones over the years (according to the article, "giant dog" refers to those over 100 pounds), mostly Great Danes and a few very large Rotties, but also a few more "exotic" breeds including an Argentine Dogo, an Irish Wolfhound, a Newfoundland, and couple large mixes. A Spokane police dog helped to apprehend two suspects on Thursday night, in two unrelated incidents. Way to go above and beyond the call of duty! These working pups are really inspiring, the relationships that they build with their handlers and other members of the police force are phenomenal. An English Bulldog, stolen four years ago as a puppy, was found hundreds of miles from home, with the help of her microchip. The pup, found in Milwaukee WI, was registered to Isa Mendoza of Miami FL. That was a long journey for little Luna! Glad to know that she has finally made her way back home. A boy has a special bucket list (or Lick-it List) for his aged service dog. This story is very touching, to see so much care and kindness not only from the service dog, but from the eleven-year-old who realizes his dog may not be around too long (Bingo is 14 years old now), and wants to make every last day extra-special. His main wish is to have treats from all over the world, so that Bingo can enjoy the flavors of many different places. 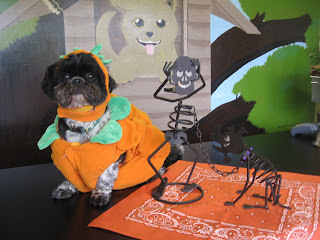 Instructions on sending treats are included in the article linked above. A man and his beloved German Shepherd were both saved by an extended "family" of people that neither of them truly knew--the facebook friends and acquaintances of owner John. When several days had passed without an update from John, one of his facebook friends attempted to phone him, and when there was no answer she asked police to do a welfare check on the man, who has been dealing with ongoing complications from a prior brain injury. Thanks to their actions, both John and pooch Mandy are now safe and in good hands. I believe I've mentioned London before-- a poor little pit puppy who endured devastating injuries to his front legs after a fall. Now, after major surgery requiring the amputation of both front legs, London has a new lease on life. He is practicing walking around on two legs (much like the pup Faith, who had a similar handicap). Don't let London hear you use the "handicap" word though! 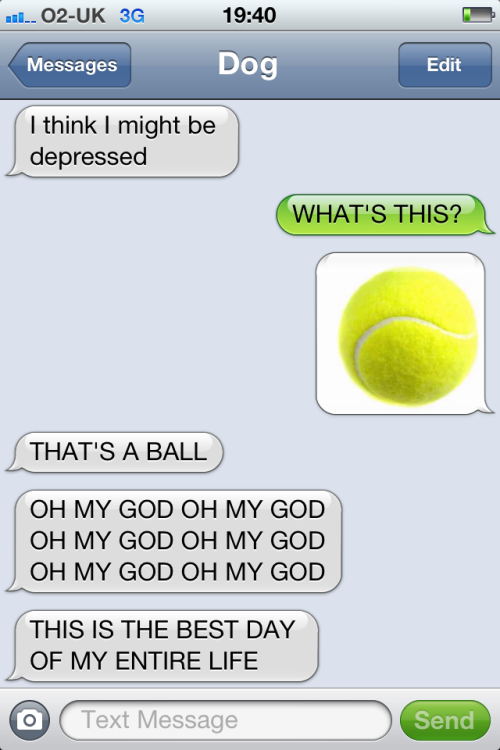 He will romp and play with the best of the, and he absolutely loves tennis balls. A pup who fell off of a cliff was rescued, thanks to firefighters and a technical rope rescue team.After falling off a precipice, and landing on a precarious piece of limestone, Hailey was rescued and returned to her family. And from Fort Fido-- the Double Z's (Zeus and Zipper) were tearing it up this morning! Look at these boys go! Everybody have a great night, and we'll pick you back up here tomorrow! Medium Dogs bust out, and Animals in the news! We caught some great clips of the action in the medium roll today! Little Jackson, a three-month-old Goldendoodle, was having an especially raucous time today. 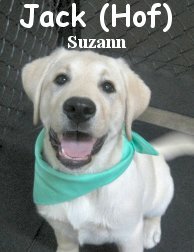 He played like crazy with both Thorn and Tikvah, not to mention many other pups in his play area! He really is blossoming into a confident pooch, and I can really see that he is comfortable here with all his buddies. I bet he goes home tired! Another clip from the medium side shows Tikvah and Bogie, always good friends and today was no exception. It's really interesting to me that dog do have a lot of preference when it comes to who they play with. They pretty much all have a few "go-to guys" that they especially love playing with. Dogs are a lot more like us than we tend to think! In the news, I found this cool story about a revolutionary plan at the Philly Zoo to construct enclosed trails about the park for animals to use. This will allow them a greater amount of stimulation, and the ability to travel much more freely, and observe other portions of the zoo (and the visitors!). It's really sad to me that it is 2012, and people still need education regarding service animals. A visually impaired man was denied service at an employment center because they refused to allow his seeing-eye dog inside. Hopefully more incidents like this will raise awareness, and more people will be educated because of it. A fifteen-month-old Black Lab is lucky to be alive, after falling down a 100ft cliff. She managed to get herself back up before her owners made it down to her, and walked herself back into town. And to end on a high note-- a puppy notified her family of a fire on the porch, that had not set off fire alarms. Everyone made it out safely, including the family cat (serendipitously named "Lucky"). 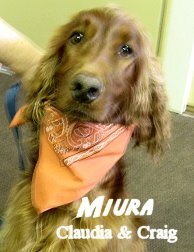 "Miss Miura" or "Mother Miura", as most of you may know, has been a key component of Fort Fido's Medium Roll for years now. She is a gorgeous Irish Setter, whose Alpha Female ways, help balance out energy levels amongst our Medium Pack. When leaving daycare, during busy pickup time, I often hear people complimenting her on her exquisite beauty. Miura's typical day at The Fort involves early morning ball time with Nancy, wrangling/teaching of the younger dogs throughout the day, and a nice "on top of the crate" rest at Nap Time. Miura has an exceptionally wonderful Dog Life, her owners are superb people. She is truly, one lucky dog! We take pride in having her at our Facility. 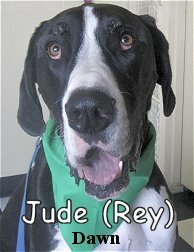 Jude is a splendid, three year old, 130 pound, mantle, Great Dane. He had his assessment on Tuesday morning, in the Big Roll. Now Jude was an absolute pleasure to have at The Fort. He is a sweet-natured, gentle giant, that is eager to please. A social butterfly, Jude had a blast with the pack, making friends quickly. He played the most with Dobie Zeus and they had a jolly-good time together. Lucky for us, we will be meeting up with Jude again on Friday... We, and the Big Roll Pack, can't wait! Take a peek at this clip of Jude in the thick of it. A few weekends back, The Band and I were competing at The Pacific NW Scottish Highland Games in Enumclaw. After watching the Shelties at the agility trials, I stumbled upon The Heelan' Hound. Talk about awesome! The Heelan' Hound specializes in hand made Tartan (plaid) dog collars, leads and other dog related items. Real wool, real tartans (over 500 to choose from), real high quality! I can't recommend these guys enough. Their vendor booth is beautifully organized and professional, the owners are kind and helpful. Gibson's been rockin' their gear for awhile now, it looks sharp. Although I'm a bit biased, this has been my favorite collar and leash set to date. Now of course, you and your dog don't need "Scottish Roots" for this fine stuff lol... Just pick out a Tartan you fancy or one that looks fabulous on your pet and go for it! However, it doesn't hurt to know a bit about the clan/country/state/organization (Yes, there are registered "Tartans" for many things nowadays.) that your pooch will be representing with pride. Here is an example, with a wee bit o' history, The Washington State Tartan. It's quite lovely actually. P.S. Not dog related but... Checkout this bit of news. Lol! Personally, I'm OK with whatever ends up happening. It wouldn't affect our biz much, luckily we wouldn't have a big sign to change, just some website stuff and flyers. Over the years, we have had a handful of folks looking for our daycare in Seattle's "U-District" haha. By the way, the business owner they interviewed in that article, just so happens to be our next-door neighbor. Dog captured after 8 months running loose-- I'm glad to know that Pepper has finally been brought back out of the wilderness, I think that I posted an article about him a couple of months ago while he was still running free. They are now looking for a home for the wanderlust-stricken pooch; an ideal situation would be a sanctuary where he can run freely, although contained. Meet Boo, billed as the cutest dog on the planet.His Facebook page has over five million "Likes" on Facebook, and even celebrities have tweeted about this little pom with a lion-cut. 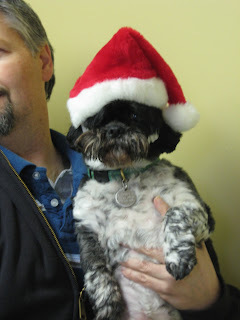 Click on the Facebook link to see dozens of pictures of this adorable pooch, and maybe even "Like" the page yourself! Ever wonder about that "wet dog shake?" We've seen a few of these the past couple days here at the Fort, and I stumbled across this neat article about the science of dogs shaking themselves dry. This research could help to create self-drying machines, such as solar panels or optics that need to be kept dry to function but are also exposed to many different forms of weather. Simultaneously a harrowing and heartening story, this pooch tried to outrun a light rail train. She didn't beat the train, but she survived and is recovering well. Now being called Amtrak by rescuers, she is a little the worse for the wear, but is just as frisky and happy as ever. Dogs really do have an amazing resilience that is hard for us two-leggers to even imagine, let alone really understand. 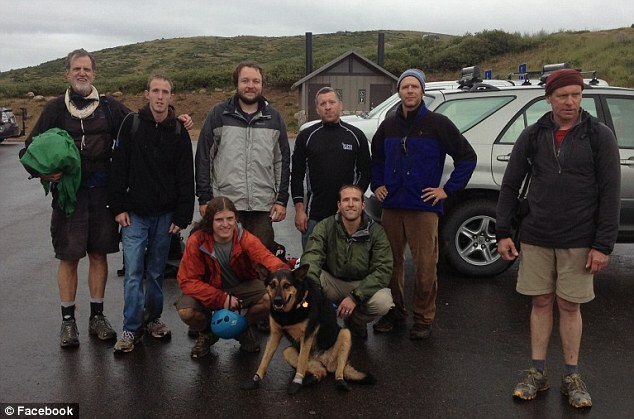 A custody battle is now raging over a dog abandoned 13,000 feet up a Colorado summit. Missy was left on the mountain after sustaining an injury during the onset of a large storm. Her owner went down the mountain and did not return to try and extricate her. Missy was discovered by two other hikers about a week later, who also had to leave her on the mountain, lacking the ability to get a dog with such badly torn paws down such a serious slope. But these hikers went home, organized, and got their friends and fellow hikers to come and help them transport the pooch down. Now that Missy has been brought back to safety, the pair of hikers that organized her rescue want to keep her. Apparently, the Dog Treadmill market is really taking off! Exercise has a lot of benefits for all of us, and that definitely includes pups. They get the same endorphin rush that we do from good, vigorous, physical exercise. I'm split about treadmills, though-- while any sort of exercise is better than no exercise, a treadmill is certainly not optimum. Dogs need both mental and physical stimulation--walks, dog park trips, car rides, daycare visits. All these things help a dog to be more balanced in their life. Exercise is one component of that, but it by no means the whole equation. Had a lot of great video of dogs tearing it up today! The heat today didn't slow the pups down at all, especially with those pools to play in. Honestly, we can learn a lot about how to take care of ourselves from watching how the dogs do it-- play and have a great time until you need to cool off, and then have a BIIIIIIIG drink of water and relax in the pool. Seems like they have their summer strategy down pat! Take a peek at all these pups, making the most of their time here with friends (another doggie lesson for us--make the most of all the time you've got!). First up is German Shepherd Lucy and Murphy having a good romp together in the big roll. There were a lot of Shepherds here today, and they all got along swimmingly! Monty, Zeus and Theodore also had a great time living it up in the big roll. Theodore just recently "graduated" from the medium side, as he's gotten much bigger--with still more to come! Murphy also had a lot of fun playing with another puppy-- a Yellow Lab named Jake. The two were a perfect match, with similar energy levels and play styles. Over in the medium side, Keegan, Kona, and Thorn were tearing it up! They had to make sure that the big guys didn't get a monopoly on excitement for today, lol. Last but certainly not least, is this medium roll clip featuring Pupcake, Buddah, and Thorn. These guys really know how to rumble! Stay safe and keep cool! P.S.-- If you are looking for a fun, dog-friendly event for the weekend, tomorrow is the 6th Annual Pups in the Park event put on by SUNDogs. It should be loads of fun! Jasper sure knew what the pool was for! To keep cool at the Fort today, we busted out all the stops! The pools were out, and the misters were going, and everybody got to have a great time playing in the water. Jasper climbed right on in; whenever he was getting a little too warm he would lay down and soak up a bunch of nice, cool water. He even played with pooches Jake and Theodore from in the pool! 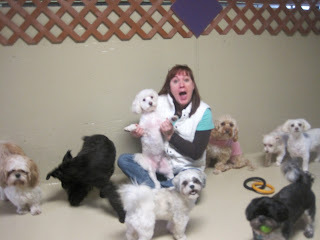 The little dogs had a great time, too--Nancy kept them cool with the misters and ice (which is always a big hit), and they were caught on film running hard all morning. Check out this clip of Buckwheat and Tucker. Little Pearl and Henry can also be spotted getting in on the fun! Over on the Medium side, pooches Tikvah and Pupcake had a good romp. These ladies have been friends for quite a while, and always enjoy the opportunity to hang out and play together. Everybody keep cool! The forecast has us looking at more of the same into early next week. P.S. If those videos are not working, then YouTube is still trying to finish processing them. Come on back in an hour or so and it should be all done. Sorry for the inconvenience! Sometimes technology just does its own thing, no matter what we try to tell it, lol. Meet Davey and Duncan, two brothers from another mother (same family) who assessed Tuesday morning. Davey is a seven year old, thirty pound Bichon Frisé. 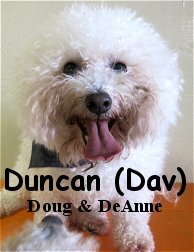 Duncan is a eight year old, sixteen pound Bichon Frisé. Both of these crafty characters are really neat dogs. They each have loads of personality. Did I mention that they also come with their own charming good looks? 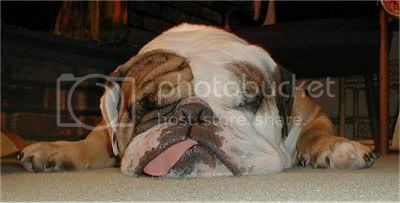 Lol, I can't stop chuckling over that picture of Duncan... It's too perfect! These two good-humored gents did well upstairs in the Little Roll. They got along just fine with the other tail-waggers. We anticipate, with much pleasure, having this duo in here again. 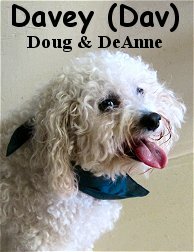 Davey and Duncan's owners, are doing their best to provide a more balanced and enjoyable life for the dogs. Way to go! Getting them around The Fort's Pack is just what the doctor ordered. A regular, good-old-fashioned, "Doggy Social", shall suit them favorably. We believe, given time and consistency, Davey and Duncan will really begin to get enjoyment out of Dog Daycare. I have not looked forward to writing this post. 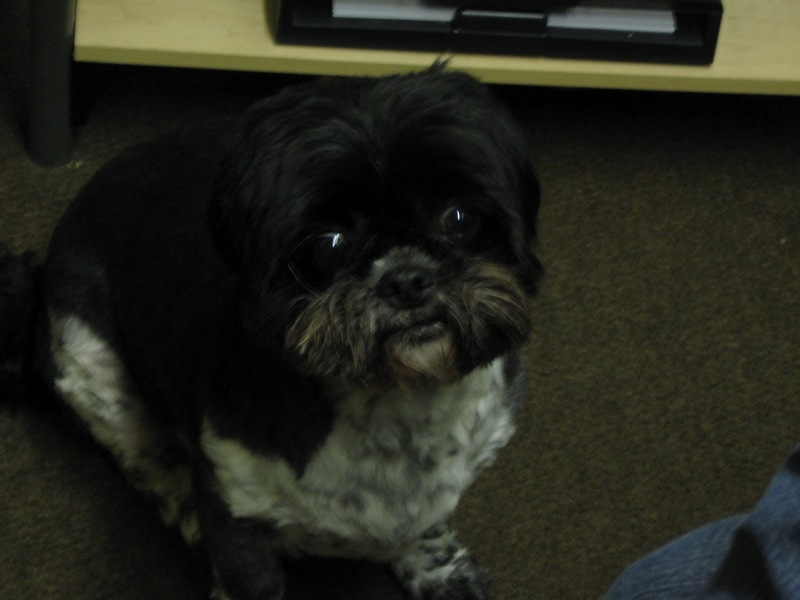 Our beloved, Cooper, resident Shih Tzu, Boss-Man and Fort Connoisseur, crossed The Rainbow Bridge. 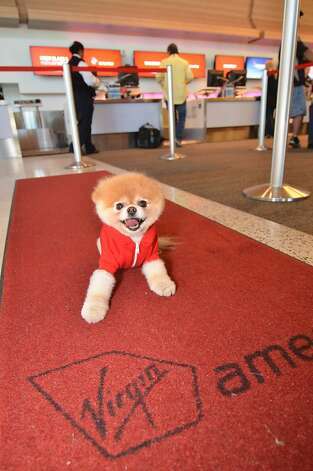 Cooper, no dog has been our spokesman quite like him. No dog has made us belly laugh harder than him. Fort Fido Doggie Daycare has learned much from him. 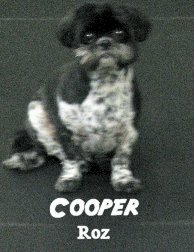 The place will be different without, Cooper, a canine that lived his life on his own terms and called no man "Sir" lol. He did whatever pleased him, at all times. In actuality, a lot can be said for that. Many of us need to incorporate a little more "Cooper Style" in our lives. Cooper started attending daycare here at six years old. After his first day, he pretty much never left. 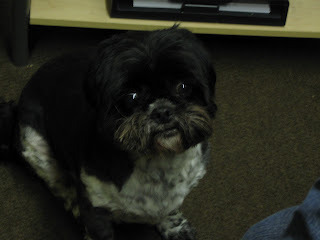 Cooper has been at our facility, damn near everyday, since our first month open in 2006. A special case, Cooper, was allowed to roam Fort Fido at will... And that he did! 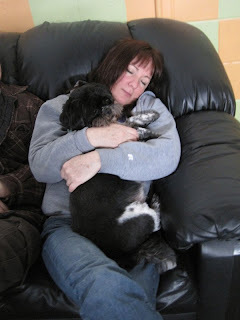 Never wanting to leave, even when offered an open door lol, Cooper wholeheartedly loved his days with us. 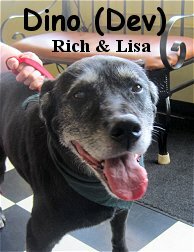 He spent his time roaming the halls, lounging on a leather sofa, playing ball in the Little Roll and just plain having fun. Cooper's life was truly "The Life of Riley". In many ways, I was jealous of him hahaha! One can only imagine the numerous stories we have involving him. They would most literally fill a book. His owner, Roz, deserves a special mention. 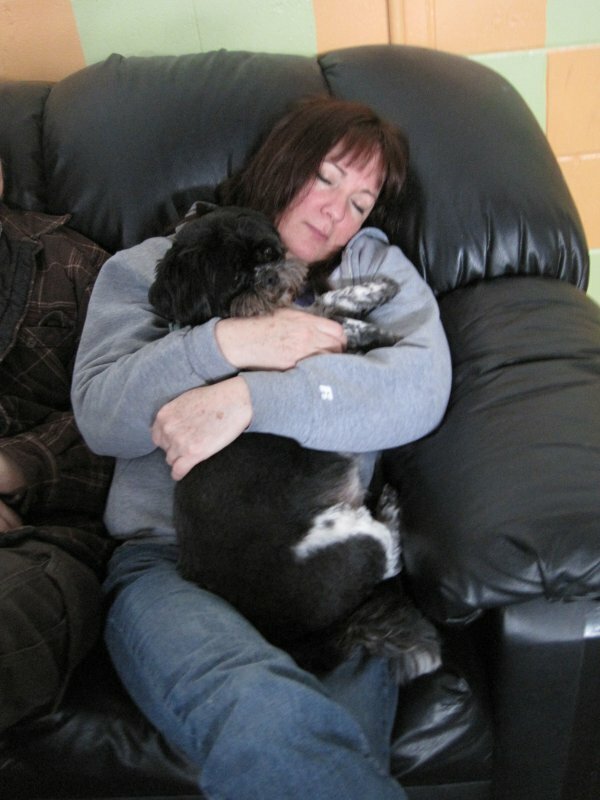 She is a neat lady that took Cooper on as a rescue. fulfilling the wish of a passing loved one... Something many of us haven't faced. For this, we commend her. Not to mention, she has cheered our business and my family on since day one. Thank you Roz! Your kindness and generosity has been and always will be appreciated. Our hearts go out to you, we apologize for your loss. We know for a fact that you did right by "Mr. C". You gave him one hell of a happy life. Each stage of his journey, you were there for him. It was true commitment, very outstanding indeed. I know, Cooper, among others, thanks you for it. Personally, I like to remember Cooper with celebration and laughs, rather than sorrow. From what I know about him, he wouldn't want it any other way. If he were a human, and had a will, I'm certain that a wake/party would be of his choosing. He'd want plenty of spirits, sweet treats and an array of the finest cheeses. Hahaha! After all, cheese, was his absolute favorite food. I will leave you with some of our favorite cooper photos. Click to enlarge. On behalf of the whole Fort Fido Staff, here's to remembering the good times! Rest in peace Coops, thanks for everything. On Sunday, we met up with Sara for her assessment. 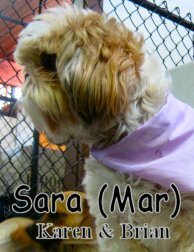 Now unfortunately, her picture just doesn't do her justice... Sara is a super cute, five year old, seventeen pound, Shih Tzu. Our manager, Hope, said she was a, "Chill little lady". She hung out with the pack in a very calm and confident manner. Sara didn't play a whole heck of a lot but may in time. She interacted with the others wisely and seemed to enjoy her stay. 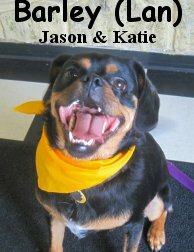 We look forward to having this happy dog return, she is welcome anytime! P.S. This, has become quite the sensation, it is very touching. Fun with Windows Movie Maker! Our assessment rescheduled for tomorrow, so I don't have any news on that front for you guys. What I have instead is a really neat video that I worked on this afternoon. 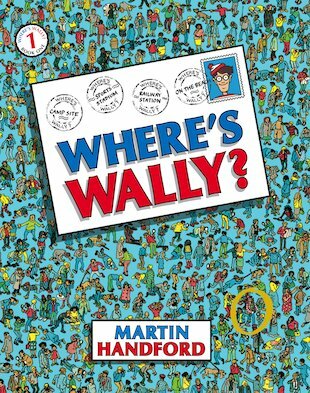 It features Gus, Gordon, Baer, Wally and Winston. It was especially good to see Wally starting to bust out today--he played with Winston, which we caught on camera, and was also having a great time with a few other big dogs. I'm glad to see he's getting more comfortable, and mixing it up more! P.S.-- In case you needed a story of motherly-canine-love to brighten your day, here is a story about a mother dog that rescued her puppies from a blazing house fire, taking them one by one to the firetruck outside. Another couple of new kids on the block! This has been a big week for us here at the Fort, welcoming all different kinds of new pooches into our pack! The newbies today were Jackson (an absolutely adorable three-month-old Apricot Goldendoodle), and Hazel (a spunky four-year-old mixed breed). 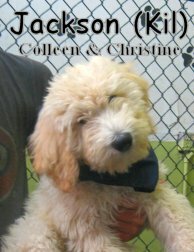 Jackson is a sweet little guy, and had a great time playing with Thorn in the Medium Roll. 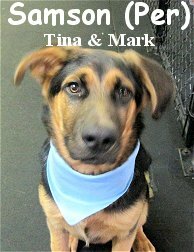 He is coming to us at a great time for socialization, and should grow up into a cool, confident dog with all this exposure to other pups. The Medium Roll is a great place for puppies, especially since the size range of pups in that group is rather large. Getting experience early on with all different kinds of dogs is a great basis for lifelong socialization. Hazel got to romp with the big guys, which was a great match for her energy level. This good-time gal was eager to mix it up with the other dogs, and was caught on camera for a few seconds this morning having a quick romp with Baer. We have even more new pups on the way tomorrow--check back to see those new additions tomorrow evening! Barley and Wally Join the Pack! We found him bright and early this morning! 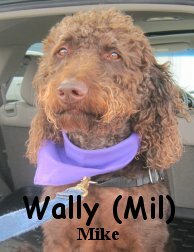 Wally is a handsome four-year-old Labradoodle who will be staying the weekend with us here at the Fort. He is a real curly guy with absolutely beautiful eyes. 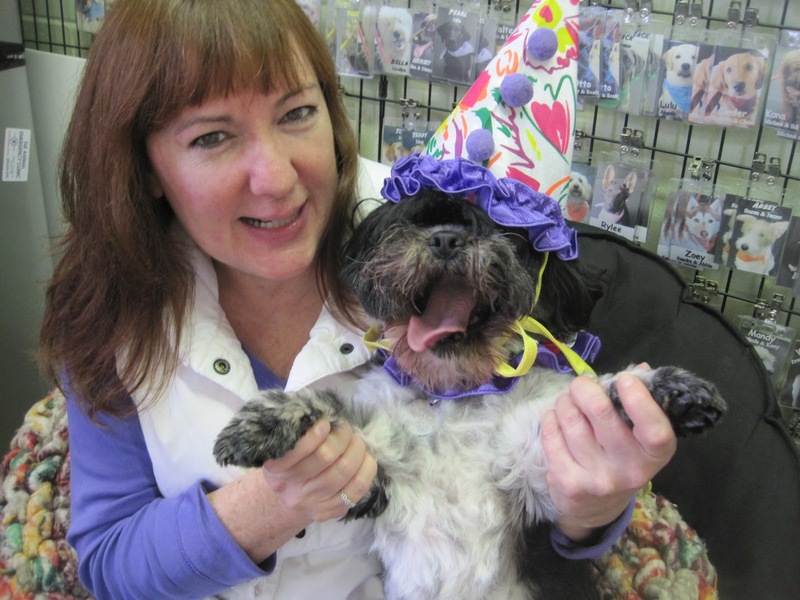 It's obvious that Wally loves to play, but he's still learning some of the rules and how to play fair--that's something that Doggie Daycare is great for! Once a pup learns to speak good "dog," they will be able to have a lot more safe fun wherever they go-- be it on the trails, to the dog park, or just greeting the pooches that live next door. I'm sure that he's going to have a good weekend here with us. Also joining us for the first time this morning is little Barley-- a spunky little MinPin/Puggle mix. This two-and-a-half-year-old firecracker had a good time with the medium roll pooches. 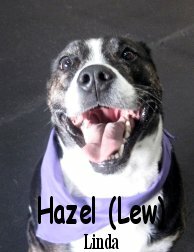 Sweet, confident, and above all good-natured and happy (just look at that grin! 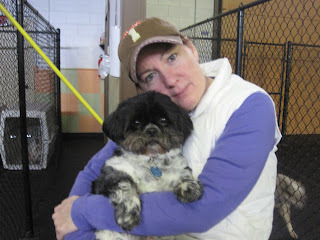 ), Barley would be a great addition to any dog pack, and I'm glad that he's choosing ours! Jack's a dashing, three month old, twenty-nine pound, Yellow Labrador Retriever. He had his assessment first thing Wednesday morning. Jack is quite the sweet puppy dog. If you aren't careful, this charming little (for now) chap will steal your heart. Who could resist that happy face lol? He looks like the dog from the Cottonelle commercials! As soon as Jack entered the Medium Roll, he instantly started playing with the group, which was pretty hilarious. These are the kind of "Assessments" we love... Puppies that are ready to socialize merrily, it sure makes our job easier haha. Jack is more than welcome to hang out at Fort Fido. He will most certainly benefit from doing so. We plan on seeing Jack sooner rather than later. The clip above shows pup, Jack, ripping it up with Marley and Sheldon. He also received a bit of schooling from Mother Miura. P.S. Couldn't help myself, the other Cottonelle commercial, even kookier! First comes Riley, then comes Samson! Twas another crackin' morning over at Fort Fido Tuesday. We had two early morning assessments. Both turned out well, as expected. Riley was first through the door. 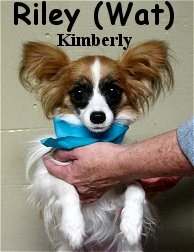 He is a dapper, one year old, six pound, red, white and black Papillon. These dogs, Papillons, have such a unique and intriguing look that I really enjoy. Riley is no exception! His striking black mask contrasts his friendly demeanor vividly. Riley took to the Little Roll with ease, making several canine buddies. He was courteous and curious, which got him interacting with pack members quickly. 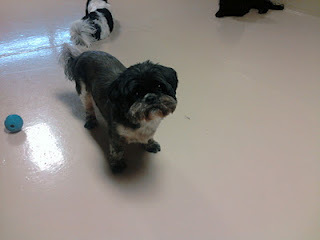 Riley enjoyed chasing toys and running through our agility tunnel. Simply put, this dog is a lot of fun! We are stoked that he got so much pleasure out of his first day. Not too long after Riley got settled in, Samson arrived. He is a bold, almost four month old, forty pound, German Shepherd/English Mastiff Mix. Samson is a kind young pup who will get a lot out of attending The Fort. A ruff and tumble sort of guy, soon to be quite large, there is no doubt that, Samson, will graduate to the Big Roll in time. For now however, he can learn much from the Medium Roll while playing hard and making friends... Two things that he truly excels at. Take a peak at this clip of Samson having a blast with Rocky. It's Samson in a nutshell! We heartily welcome Riley and Samson. May they return soon! P.S. Found this gem online today: There's no fighting between this cat and dog!
! Brother From Another Mother !